to another world. We ate some delicious foods while in Frisco. 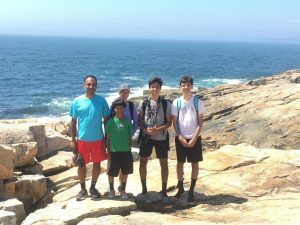 Also as a family, during the summer we took a smaller trip to Bar Harbor, Maine and did some hiking in Acadia National Forest. 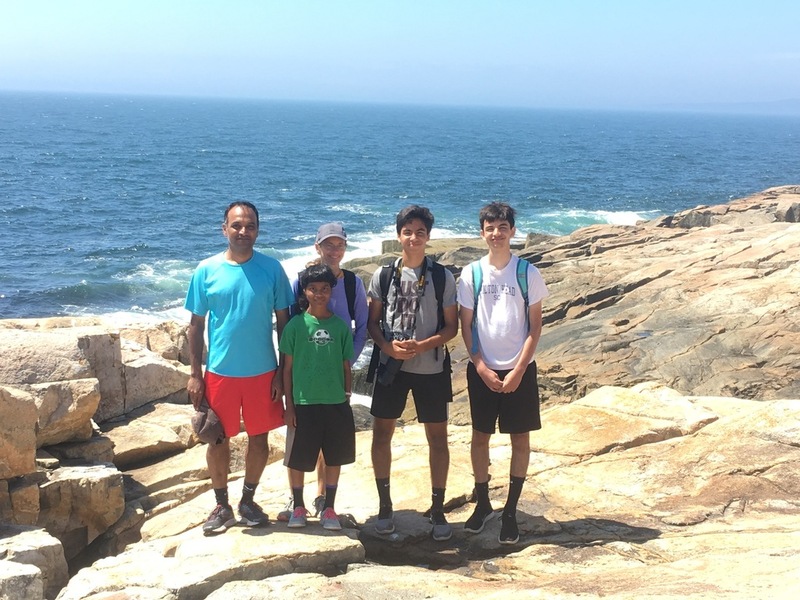 We enjoyed the quiet life and beauty off the coast of Maine with seagulls, rocky shores and some star gazing. We also ate some delicious seafood, Lobster, clams and oysters (only Vijay and Kiran). 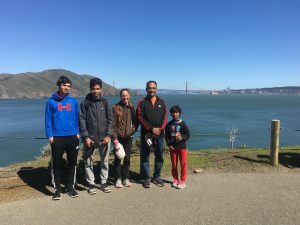 Vijay had a few work trips without the family. One to Cote d’Ivoire, Africa at the beginning of the year and another to Rome Italy in the Fall. Both were successful as far as work related and even more as far as scenery, history, culture and adventure. We are all getting older. Rajiv is now 18 years old and a freshman at University of Virginia in the school of Computer Science. Kiran is a senior at high school with a scope of going to college at Carnegie Mellon University where he will also play soccer for CMU. We are very grateful for all these provisions for our family. Pori is in eighth grade and being homeschooled by Mom. We had a few visitors recently one family from the UK, one from India and another family friends form upstate New York. Vijay’s mom also visited and got to stay with us for half of the summer. We still have a zoo of pets, which consists of a South American tortoise, a Honduran milk snake, 2 frogs, a finch, a parrot and a mini Australian shepherding dog. May the hope, peace and joy of Christmas fill your hearts and homes this season and through the coming year.